As children become aware of their own wants and needs and that of others, they develop an idea of fairness. You might test spatial awareness and concepts of equality by posing questions like, "If I divide this apple or orange like this, can I give the same amount to each person?" 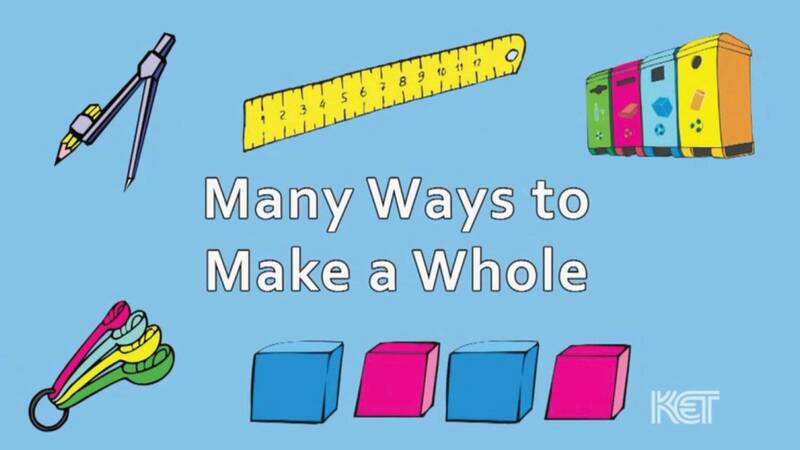 Use this video featuring the song "Many Ways" written and performed by Mr. Steve from PBS Kids to teach your preschoolers about math concepts like part, whole, half, quarter, and fractions. The video and accompanying activity also introduces students to the terms “equal” and “not equal” to describe the way objects are divided. Encourage children to express their thinking about these concepts, which provides a foundation for them to comprehend fraction symbols later.